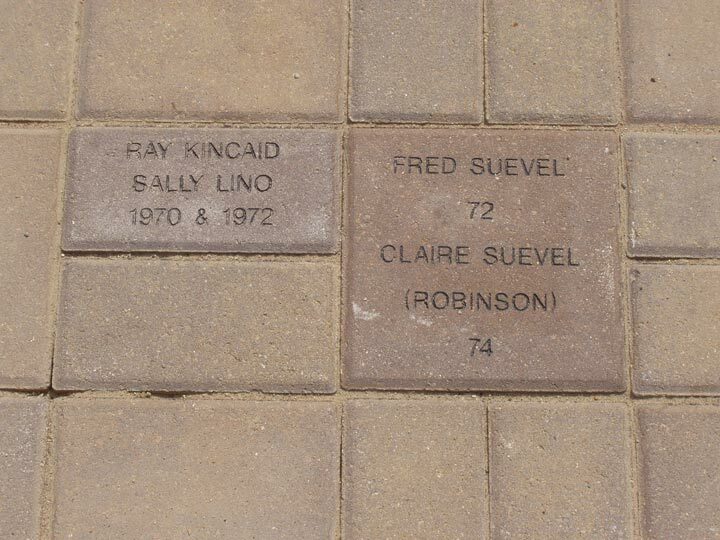 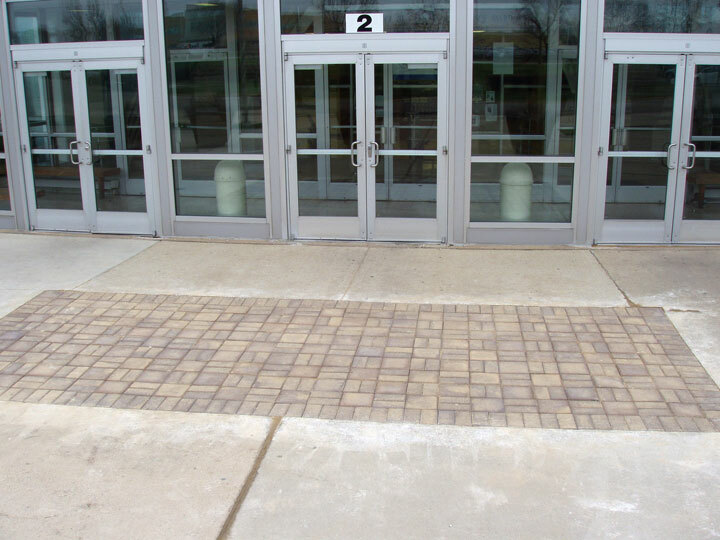 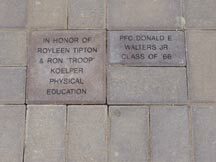 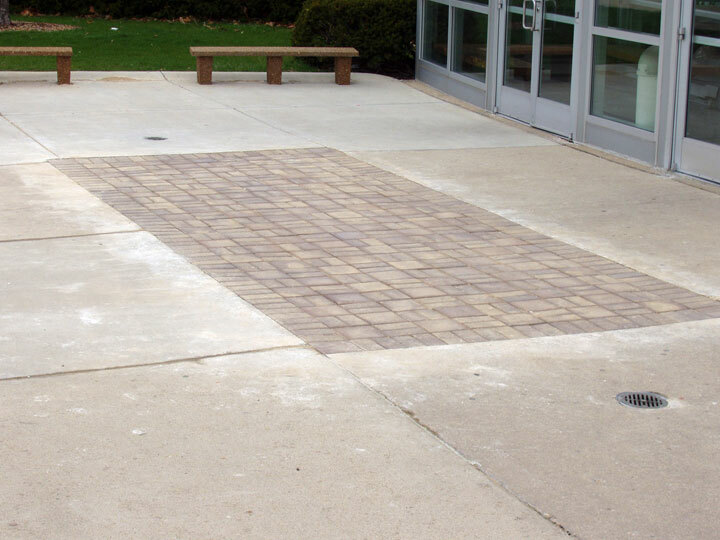 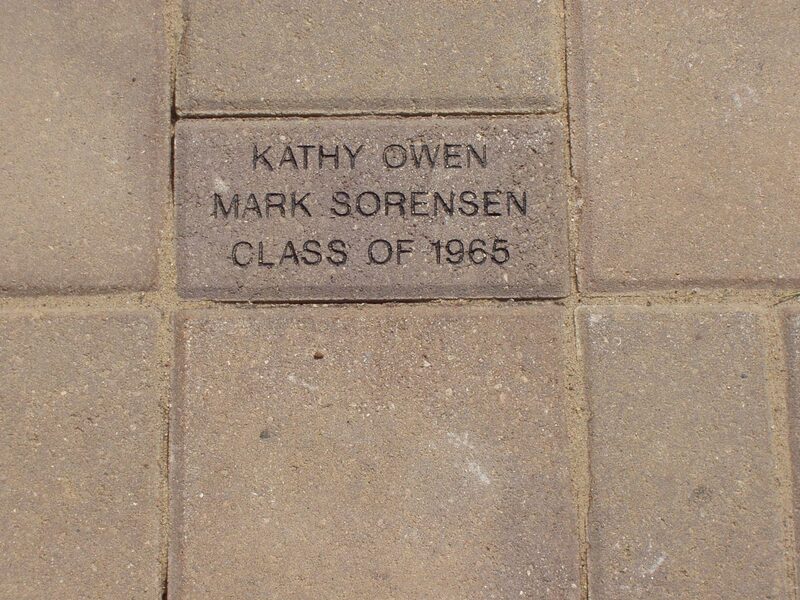 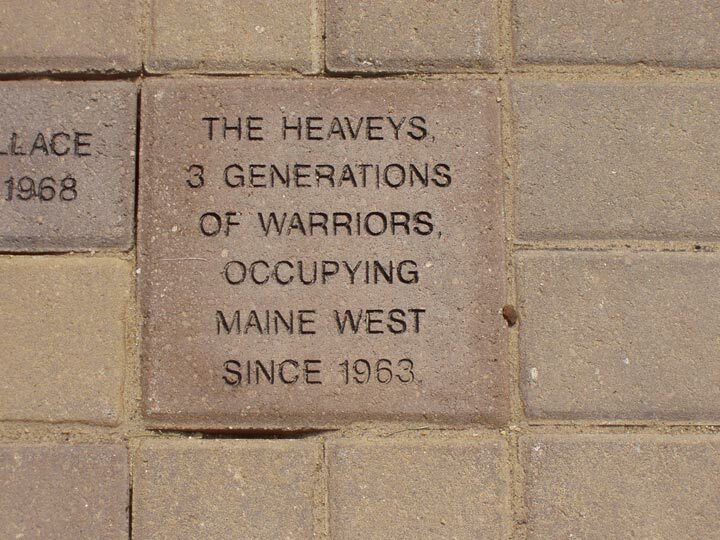 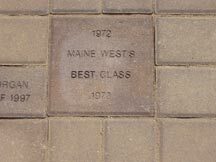 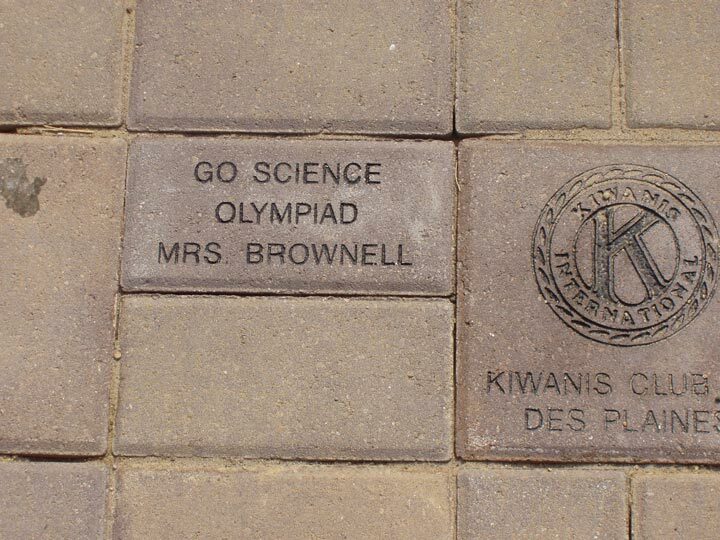 Today, March 22, 2004, the Paver Brick Project got started. 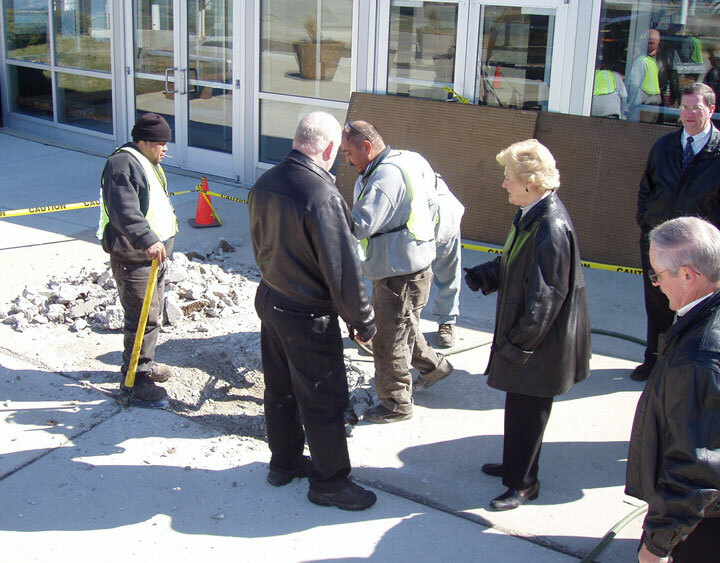 Erv Geisler '64, brought his crew over to start breaking the concrete. 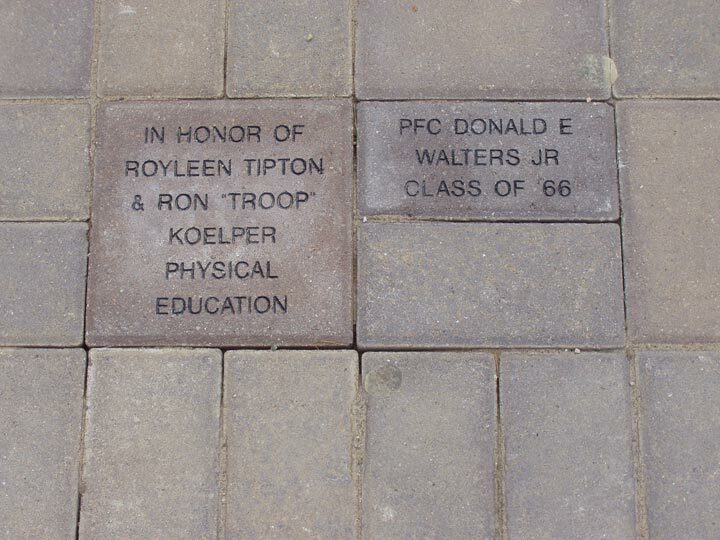 Later this week they will set the foundation and plant the blank paver bricks. 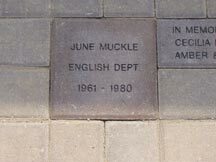 These blank bricks will be replaced with engraved bricks in June, for all orders received and confirmed by the end of April. 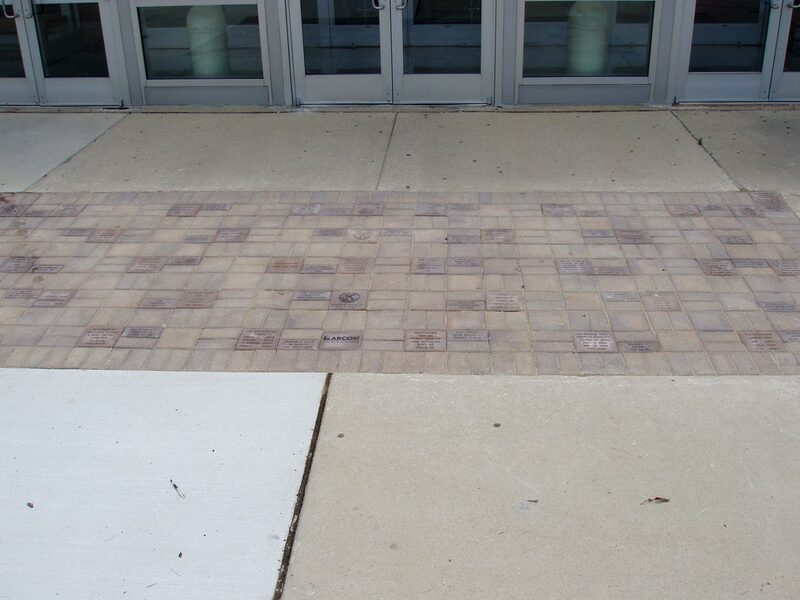 I would like to thank the three school principals, whose support for this project have helped to make it a reality. 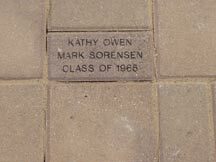 Click on a picture to see the full size version. 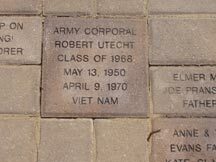 John Carle '65, working with Erv, helps pick the location for the bricks. 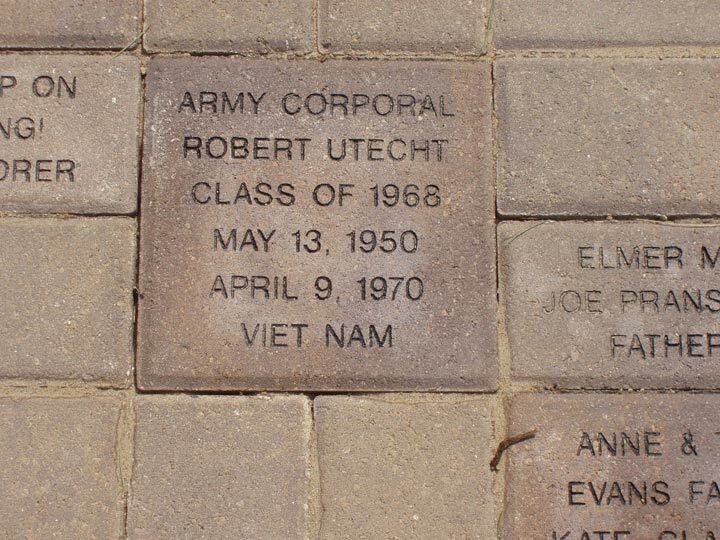 Right in front of the center front door. 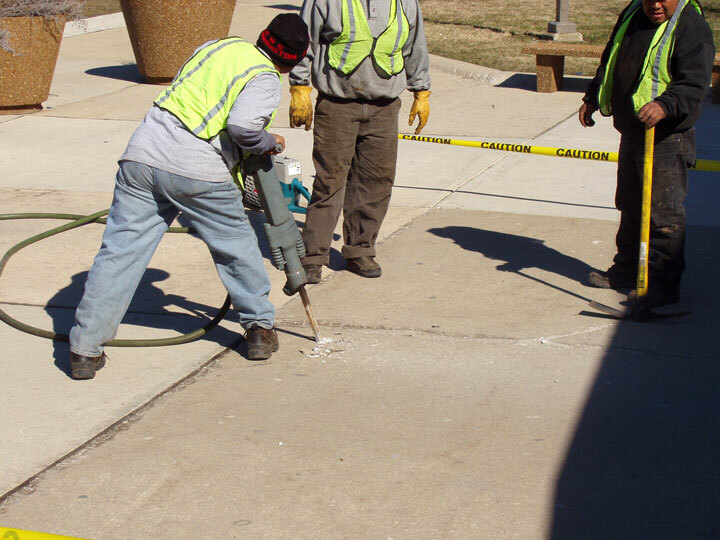 The workmen arrive and start to mask off the worksite. 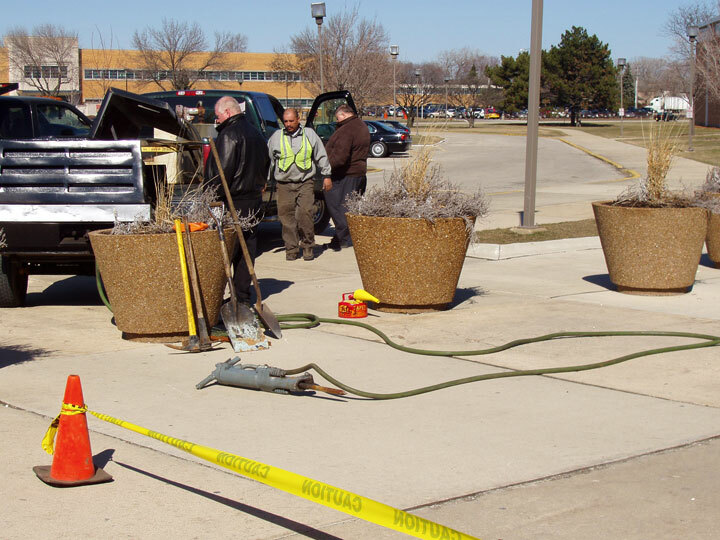 Power tools are set up and the compressor started. 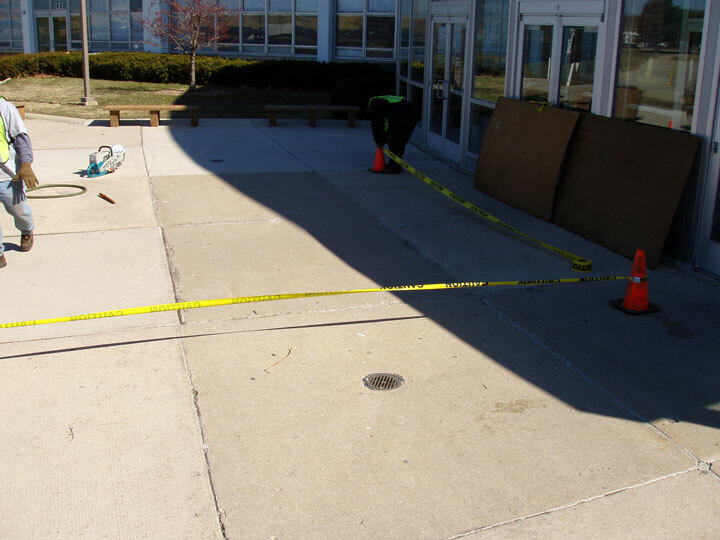 The first cuts are made and the physical part of the project is officially started. 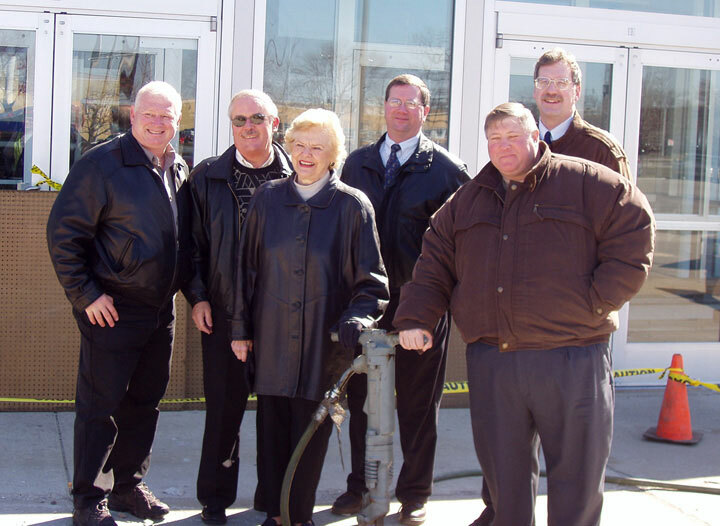 Some of the movers and shakers of the project. 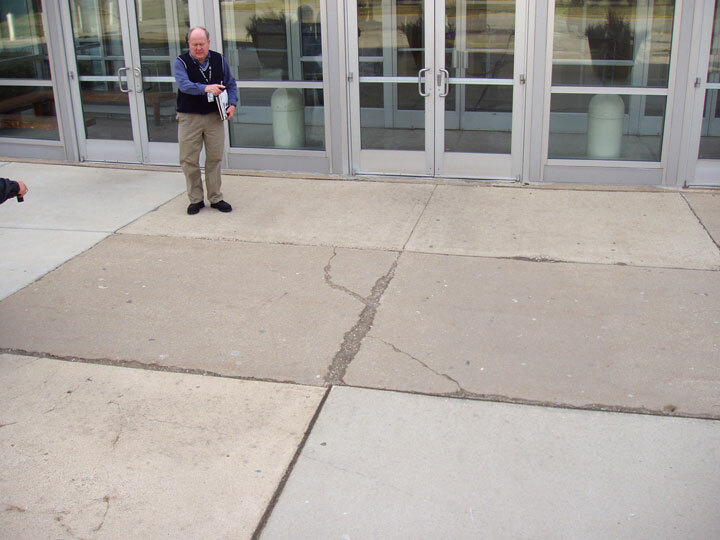 Publicity pictures are done, so coffee break is over and the work continues. 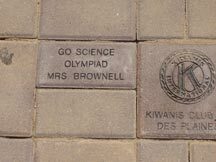 The sooner we fill this area with engraved bricks the sooner we start to remove rest of the cement and fill it with bricks ! 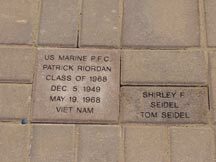 Get your order in NOW ! ! 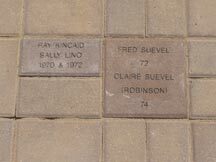 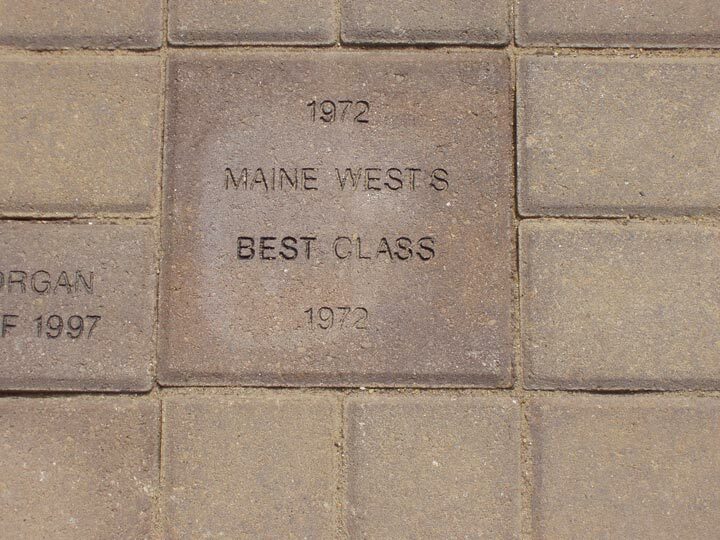 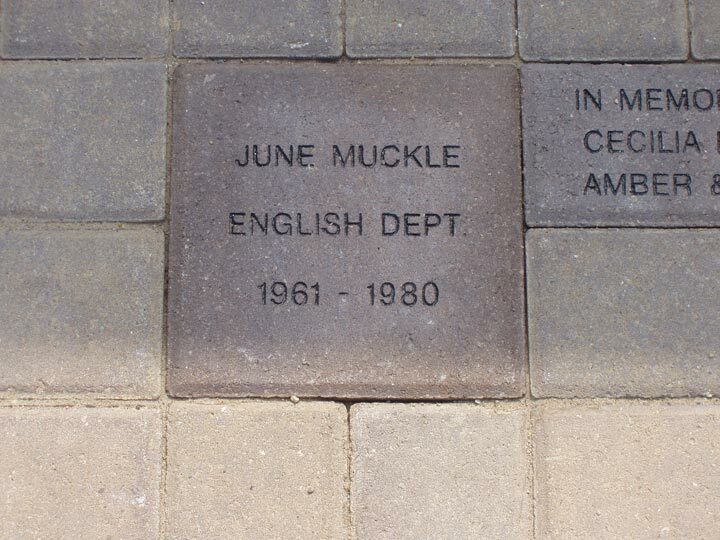 Below are close-up pictures of some of the engraved and installed bricks. 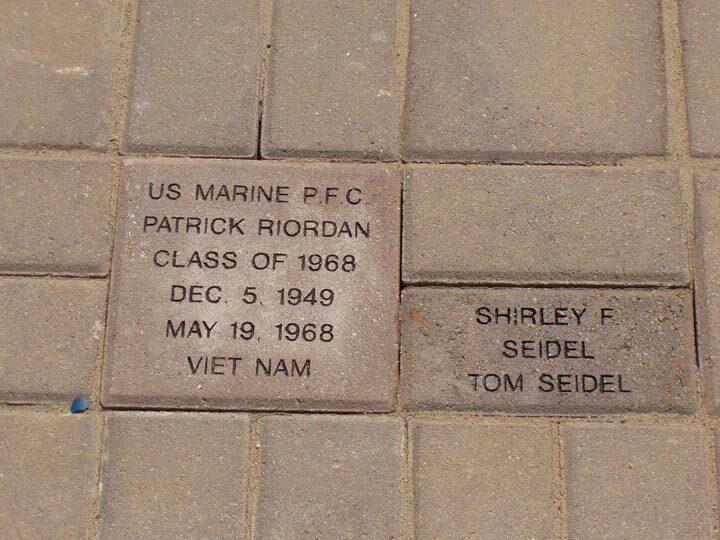 As you can see there are dedications to teachers, Vietnam casualties, families, classmates & groups. 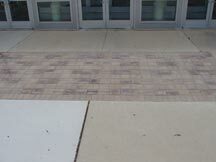 These pictures were taken just after installation. 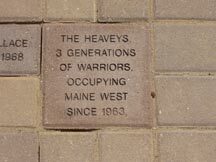 They still need to be rinsed and brushed off.